Super Smash Bros Ultimate is now out on Nintendo Switch and is the biggest entry yet, with an overflowing roster of iconic characters pulled from a cornucopia of beloved gaming franchises. 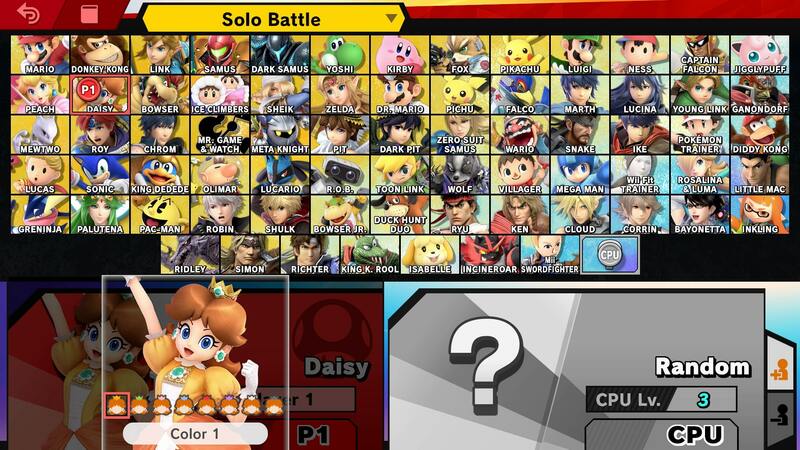 In fact, every single fighter in Smash Bros history is in the game, as well as some brand new characters too. We’ve been busy putting together guides for every single one, highlighting the changes that each fighter has undergone since the last game, what alternate outfits there will be, and some info on moveset. 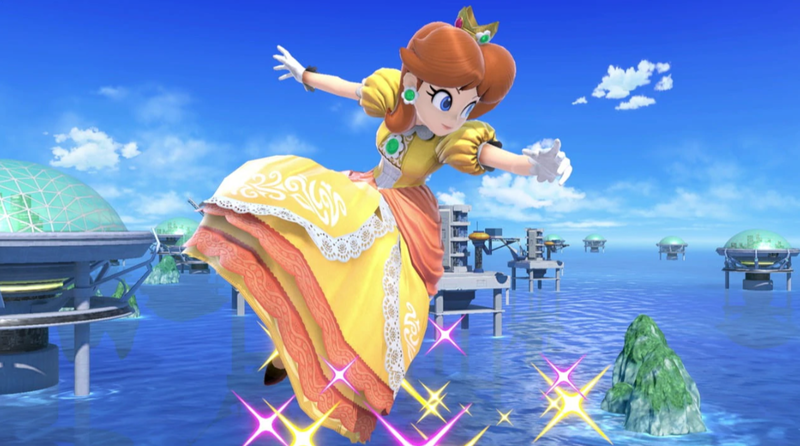 In the Super Smash Bros Ultimate Daisy Character Guide, we’re going to focus on Daisy, one of the game’s Echo Fighters. Let’s get started with Daisy's Moves set and alternative costumes. For info on all of the other fighters in Super Smash Bros Ultimate, head over to our Super Smash Bros Ultimate Character Guide. It’s got an ever-growing list of Smash Bros character guides, so be sure to check it out. 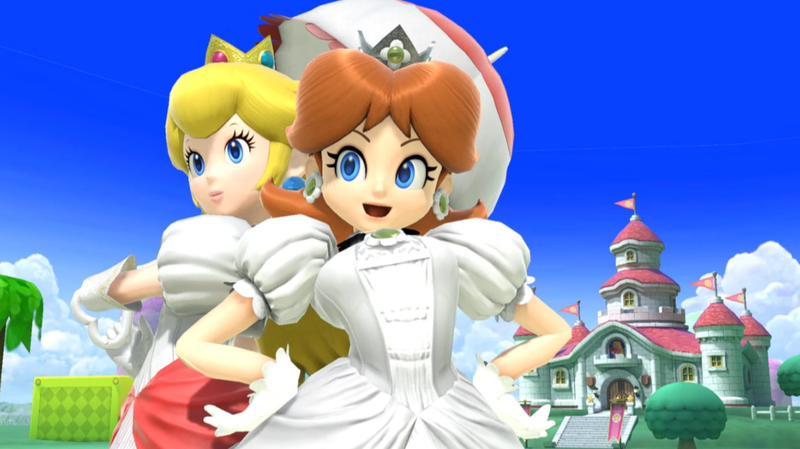 Daisy has never truly been playable in Smash Bros. She has been included in previous games as a variant of Princess Peach, acting essentially as a trophy to be unlocked. This time around though she’s a playable fighter, and is an Echo Fighter to Peach. This means that she shares many of her moveset and animations with Peach, with small tweaks to distinguish them. Let’s take a look at what we know about Daisy so far. We've detailed all of Daisy's Special Moves in the table below. You'll find info on how to perform all of Daisy's special moves and Final Smash. Given that Daisy is a brand new fighter, she will be sporting a unique moveset for the character. Being an Echo Fighter of Peach though, she pretty much uses the same moveset. You can check out our Super Smash Bros Ultimate Peach Guide to see the moves that Daisy will be using. The difference with Daisy though, is that she uses a Blue Toad in her attacks, and flowers instead of hearts. Many of the fighters in Smash Bros Ultimate have alternate costumes that they can use. Often, they are just palette swaps or minor tweaks to the original appearance, but some have more elaborate designs. One of Daisy’s alternate costumes is a white dress, which you can check out below. Super Smash Bros Ultimate will have amiibo functionality, and a new set of amiibo figures will be released to coincide with the game.One of the new amiibo is Daisy. The Daisy amiibo doesn’t have a release date yet, but you can check it out below. 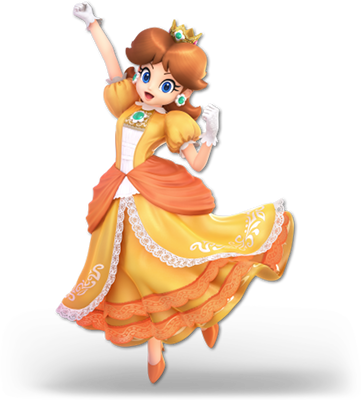 We don’t yet know what Daisy’s Final Smash will be in Super Smash Bros Ultimate, but it’s possible that it will be a variant on Peach’s Peach Blossom Final Smash. We’ll update this guide when we have more info. That’s everything we know about Daisy in Super Smash Bros Ultimate. For more general info on the game, you can head over to our Super Smash Bros Ultimate Guides Hub.